My name is Bartłomiej Jan Brodzki. I was born in Warsaw, Poland, in June 1987. I am interested in both The Arts and computers since early childhood, and as soon as I got my first machine, I started combining the above, creating a fusion between what I love and new technology. Still, being a designer and a visual artist did not prevent me from taking a deeper insight into other forms of art. Following, I started painting graffiti, created sketches, learned stone-carving and got my first analog camera. I also learned the basics of web design, as well as simple animation. After writing the Polish A-levels I finished one year of Social Psychology in English at SWPS which is a well known and respected academy in Warsaw. Since then, my life changed drastically and I moved to UK and started a Media Studies programme at the University of Derby, where after three years of education I received a 2:1 bachelors degree. During my studies I focused mainly on the listed topics: Social Psychology, Biological Mechanisms of Human Behavior, Logics and Philosophy, Academic Writing, Statistics Packages, Photography in the Media, Digital Publishing, Mass Media in Contemporary Context, Media Research, Audience Research Project, Print Production, Photography and Photojournalism, Image Music Sound, Cultural Studies and Media Culture, Conflicting Images, Print Media Production, Ethics and Creativity, Contesting Cultures. My bachelors thesis was on Logo design, and its ability to adapt to the flexible world of mass media. During studies I also had a chance to work with people from the industry. For the module called work experience I rebranded a visual art company called Harlequin Display, working both in UK and Germany, additionally creating leaflets, posters, and a website. I also learned basics of management via the module called Management Experience in creative and Cultural Industries. I based my paper for this module on my work experience from two advertising agencies: Ad Fabrika+DRAFT FCB which is a medium sized firm, and the Polish branch of a French advertising giant called PUBLICIS. I also work as a freelance graphic artist, where I create leaflets and packaging for drugs and medicine. My hobbies are: Historical reconstruction (both X-XII and XV century), sword-fighting, Gaming (focusing on PS3 and computer MMO games). Sports I played are: Tennis, Swimming, Skateboarding, Basketball, Football and Judo. Recently I had an honour to join the University of Amsterdam (UvA) Masters in New Media programme, where I am planning to combine my colorful past with the everchanging world of New Media. Massively Multiplayer Online games are a fresh genre to the gaming industry, as all of them require a strong and stable Internet connection. This particular branch of gaming is becoming more and more popular due to the rapid emergence of new technologies. The genre of MMOG’s probably evolved from Internet MUD’s, which were Role-playing story-line follow-up’s with no graphics nor sound, and later Online Role Playing Games such as BioWare’s Neverwinter Nights. It is important to add that despite the fact of MMO evolving from RPG, multiple genre variations have been created, such as MMO Social games (Second Life), MMORTS (EVE Online), MMO Management Games (The Sims Online), MMO Racing (NFS: World), or even MMO abstract games (LOVE). 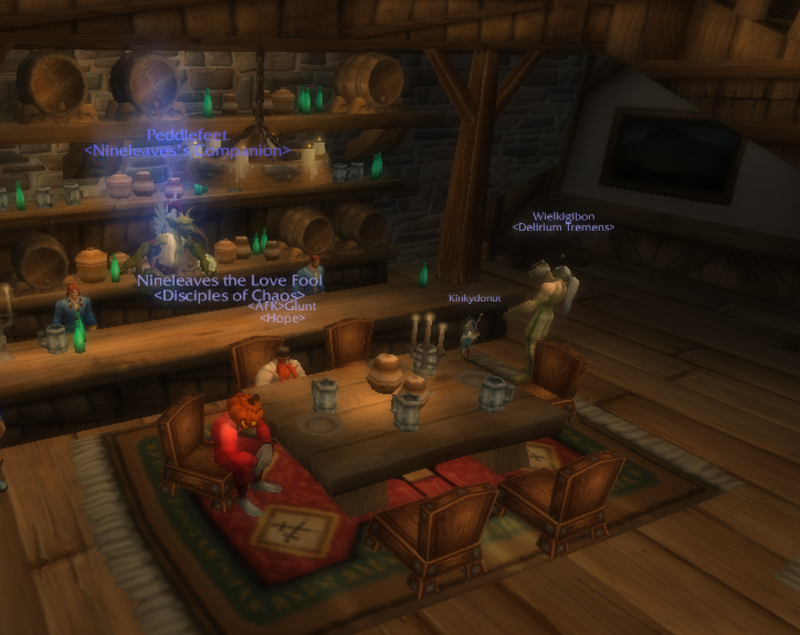 The main notion carried by MMO’s is that all players are caught up in the same virtual world, following similar rules of physics and gameplay. Differently as in the real world, in each of the games a player begins with nothing of value, creating a more or less even starting point for everyone. The evolution of Web and the gaming industry already have found multiple perspectives for the use of online gaming. The most known examples can be found while approaching the US Military which uses First Person Shooter games (FPS) and Flight Simulators to train soldiers. One of the latest projects by US Army is called asymmetric warfare environment. Following, MMO gaming and virtual worlds open a wide range of perspectives to humankind. In this essay I am going to analyze and describe some of the aspects of the World of Warcraft game, which I believe may have serious consequences for the MMO genre, gaming industry, and even an impact on mankind. Entertainment Aspect – What it ‘really’ is? I believe that entertainment aspect of World of Warcraft should be the first one to analyze as it roots in the very idea of gaming. 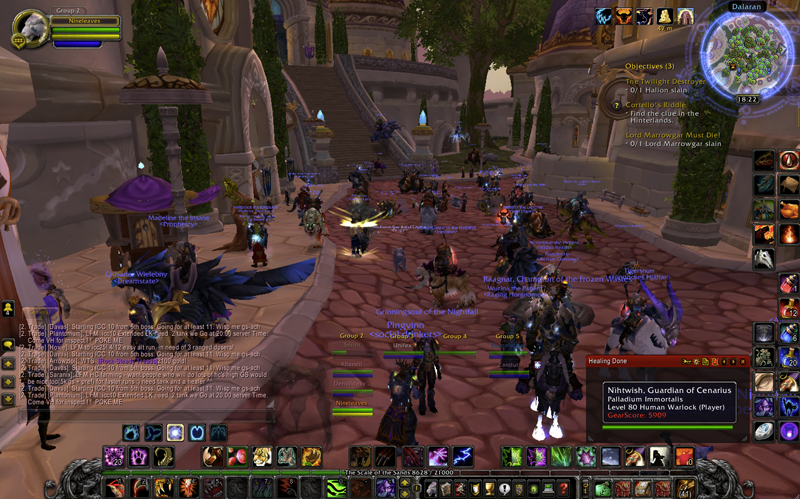 Many people started to play WoW simply because it was fun, where this very entertainment can be found in multiple features. I will base this part of the essay on information collected by Nick Yee, owner of probably the most famous MMORPG data collection project called ‘the daedalus’. I will also try to answer the question: Why is World of Warcraft so absorbing, compelling, and addictive? The most important and visible feature that makes the MMO genre differ from other games is the constant evolution of the virtual world. As soon as either a patch or an expansion pack is released, new areas/game rules/features/items/skills are incorporated into the game world. Not only new content is being added, but the old one is usually getting renewed. This provides the players with a shifting environment, where there are always new things to do and new ways to play. The rapid technological evolution which follows mankind can be seen in this feature of the entertainment aspect of gaming. As electronic equipment begins to be cheaper and easier to access, the in-game world also evolves not only in quantity, but also in quality. The graphics are getting refreshed, the game mechanisms change as well, providing the gamers with a virtual world which is slowly becoming more and more real. This simple tactic used by the developers created a situation in which the game itself has no end, and is constantly being reshaped. In Yee’s survey on the question: What do players want to see in MMOs? ; the most frequent answer is ‘Quests’ followed by ‘Storylines’. In each role-playing game one of the main goals is to get experience to evolve your character. In World of Warcraft you can do this also by completing quests and following the story-line. 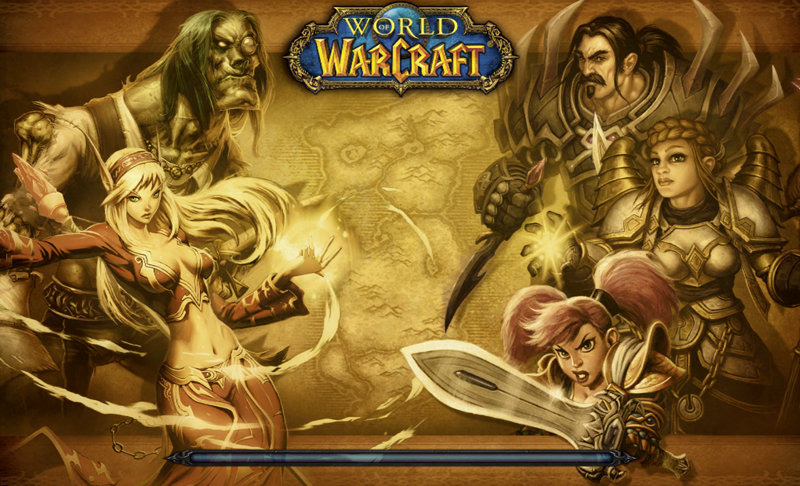 It is important to add here that WoW falls into the category of Hero-Fantasy, where the player is placed in centre of the most important events. Following, during his gameplay, starting as a thug for hire, he becomes the turning point of events that govern the existence of the world; shortly speaking: from zero to hero. All this is strongly linked to the reward system of the game: as you complete quests you gain experience/gold/items. What follows, the more quests you complete, the more in-game power you have. And the more power you have, the harder quests you are able to do. The mechanism exposes the same circulatory values as the one from the previous paragraph, showing how one can get caught up not only by the attraction to the shifting environment, but also to the need of becoming more and more powerful. The entertainment aspect of the game can be narrowed down to two major features. First one can be explained as the aesthetic experience of a shifting environment, which attracts the player by rewarding him with a visually pleasant and interesting world. The second one will be the need of power and in-game attractions. Both of these aspects can be perceived as circles locked around the player, where usage of any of them only tightens the boundaries between the gamer and his second life. Social Aspect – Who we ‘really’ are? 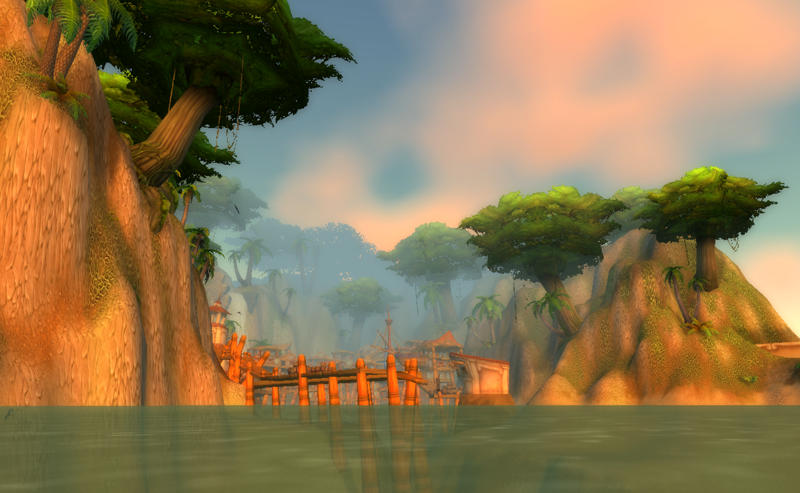 The identity issue in WoW and other MMO games differs much, at least on the theoretical basis, from what sociologists write about social networking. It is important to state that players of fantasy MMO’s do not enhance their true self just to expose it to others, in such a way as on social networking sites. Instead they create an Identity, a character, which is their escape from reality. The best examples can be found on role-playing servers, where players tend to learn how to speak ‘dwarvish’ or ‘trollish’, and throughout the play they tend to use only this language to communicate with others. Additionally, players of rpg type realms tend to absolutely transform their selves into their characters, and what follows, you can find drunk dwarves in taverns or human guilds devoted to trade. What I am trying to argue, is that virtual worlds give each player a lot of freedom of action in terms of defining ‘self’. Players can dramatically change their regular behaviour and become totally different people, not only by breaking the laws of real-world physics, but by the shift of identity. The other important social aspect given to players by the game is the communication system. It can be divided into two smaller subdivisions, which are communication mechanisms and socialization mechanisms. The first subdivision gives the player the power to communicate on two levels. A player can either talk/yell by typing the command (/say, /yell), or more privately whisper (send a private message) or expose his feelings for someone (/happy, /cheer, /cry, /flirt, /roar, /smile). This enables the gamer to communicate at a local level. On the other hand players can join and create chat rooms, where players can communicate now matter how far away they are. Examples can be found on channels such as ‘/join trade’, which can be overloaded with information in form of never-ending lines of text presenting items for sale, buying offers, but also other useful information. Basically, there are barely no limits when it comes to chatting in World of Warcraft, except communication between factions, but still, players find ways around it. There are also other chat channels which enable communication such as ‘party’ which is a group up to five people, ‘raid’ which is a group of up to forty players, or a ‘guild’ which is unlimited in terms of the number of people. The described groups enable communication on a social basis, giving a player some sense of belonging to a group. Getting involved in that kind of activities is very common for players, and therefore meeting new people is on a daily basis. Apart from the above examples the game has an in-built voice-chat which makes vocal communication possible. Additionally players are using various programs such as ventrilo or teamspeak. Those enable to communicate directly with a group of people, leaving behind the necessity of typing, and giving an opportunity to discuss various topics while playing. Except from the above there are also other forms of communication such as internet discussion forums, guild-websites, WoW Wikis, stand-alone voice-chat channels, shops with various goods, official websites, fan-art sites, and more. Education Aspect – What can really be done? The last aspect I would like to write about is the educational side of MMO gaming, as I believe it roots in the previously described issues. 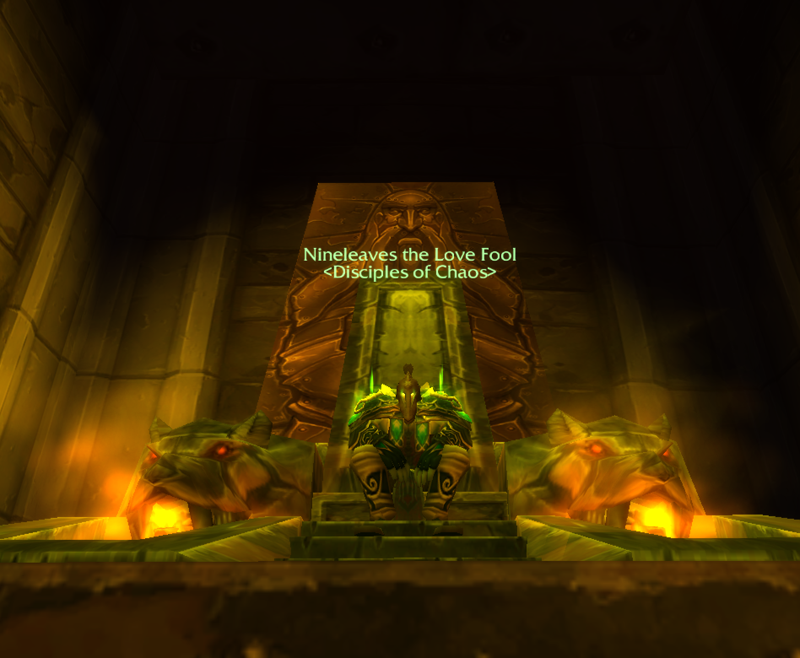 In World of Warcraft, no matter what type of gamer psychology do you have (see Bartle Test of Gamer Psychology), there will be always something for you to learn. Either learning how to exist in a virtual environment by learning how to play, learning how to manage a group of people by becoming a leader of a guild, or even learning more about cultures from other parts of the globe. It is important to state here, that the learning via access to the game is not only on the game level, but also on the community level. It gives various possibilities to develop social skills, language, and experience truly human emotions such as pleasures and pains of being a part of a society. While taking under consideration the idea of a second life, we have to think of it not in terms of giving away your real life, but of separating it as a virtual entity. It is true that in some extreme cases (see ‘Second Skin’) this idea gets lost, and people turn out to blur this distinction between virtual and real, where the outcome of this situation is usually fatal. Nonetheless, living two lives has multiple advantages. Some can be found on the entertainment level, while exploring and interacting with a ever-shifting virtual environment. Others can be seen in the connection to a social structure, where one can meet new people, talk to friends, or get involved in various activities inside or outside the game. Additionally there are also educational advantages of joining a virtual reality, varying from gaining knowledge through play to understanding diverse cultures. I believe that there is much more to be said and much more research to be done, especially in times when Massively Multiplayer Online gaming is taking over a large piece of the game industry, attracting more and more players to join virtual worlds.